– 21 miles across, in a straight line at the shortest point. 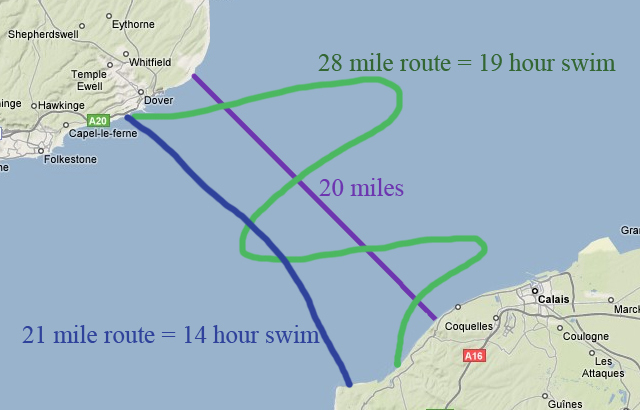 The straight line part is key, tides lead to an s shaped swim, which is usually between 30 and 40 miles in length. 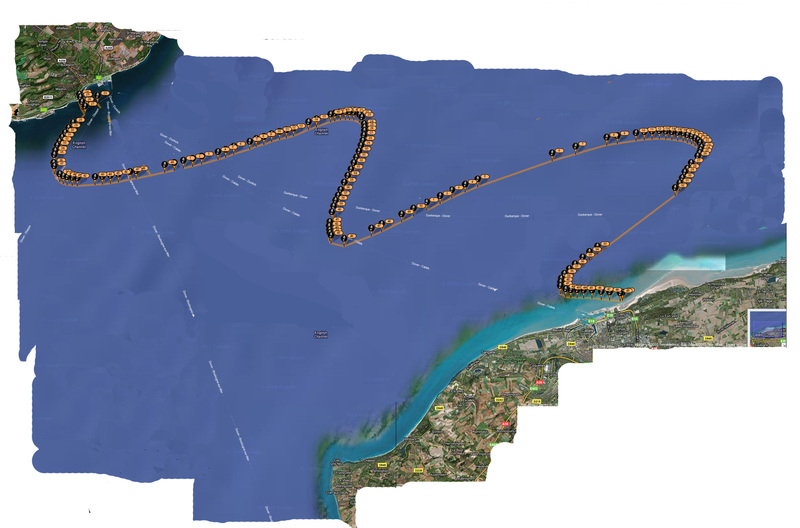 This is Jacki Cobell’s swim route from her 28 hour and 44 minute crossing on July 25th 2010. 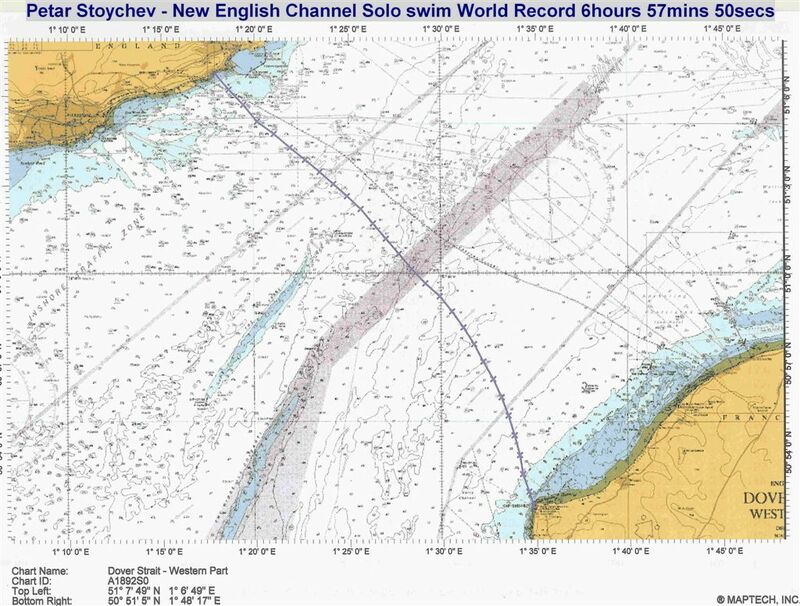 This is Peter Stoychev’s crossing from 2007, which took just under 7 hours. – World’s busiest shipping channel with 500+ ships passing through a day – not including ferry crossings and smaller boats! – To avoid collision, ships travelling North use the French side of the Channel, and those heading South use the English. There is a separation zone between the two. – From June to September the water temperature is usually between 15 and 18 degrees… lets hope the weather warms up soon so that the Channel doesn’t stay below 10 degrees this year!*? 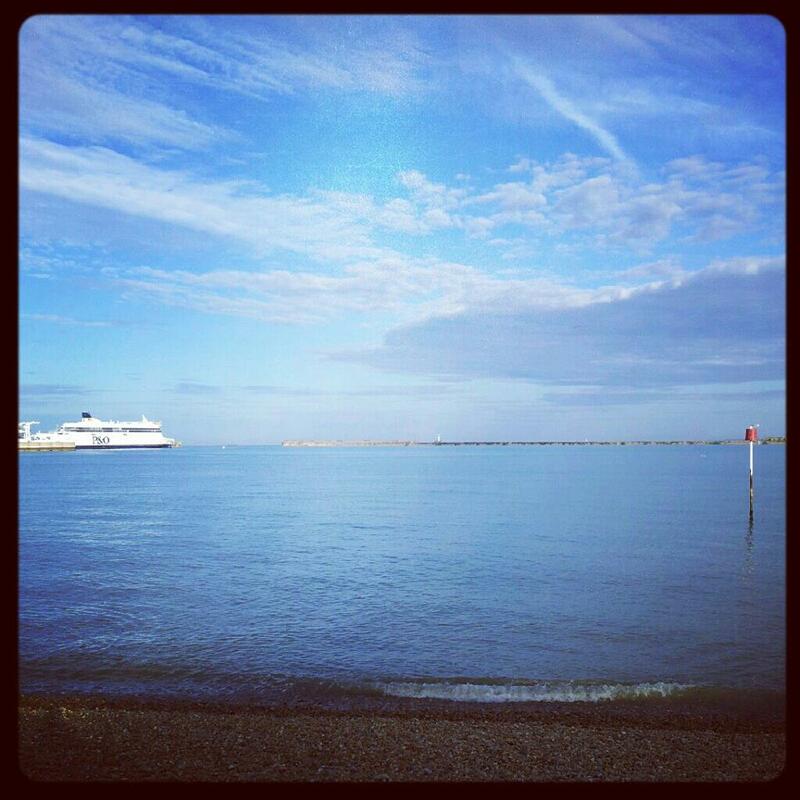 – Tides are strong in the Channel, particularly during Spring Tides when there is the most difference between high and low tide. Most swims are attempted on a Neap tide, for this reason. Main Challenges for Swimmers in no particular order! – ‘Things’ floating in the water… drift wood… rubbish… sewerage… ‘flotsam and jetsam’ and seaweed – which can be knotted together in large mats. – Changes in weather – including fog. 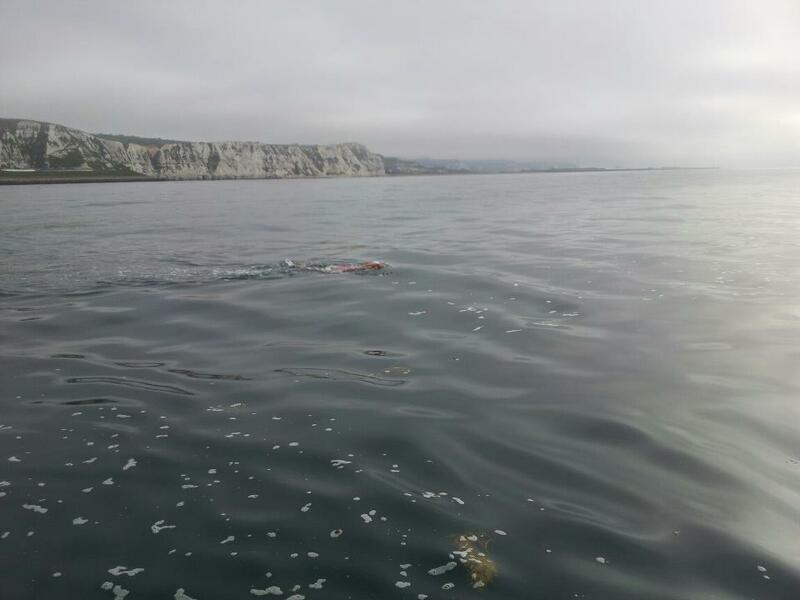 The weather can change rapidly in the Channel and has prevented many swims from being completed. Gertrude Ederle: 1926: First woman to swim the Channel!